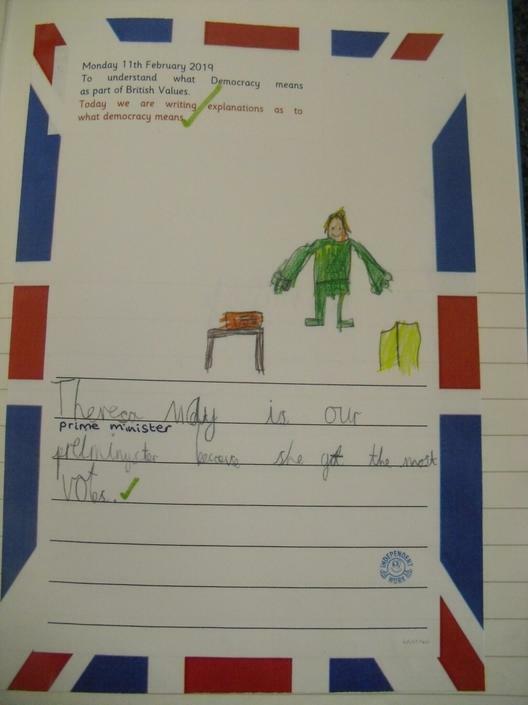 Our school rules ensure that all children feel safe and secure and introduced to the British Value 'Rule of law'. 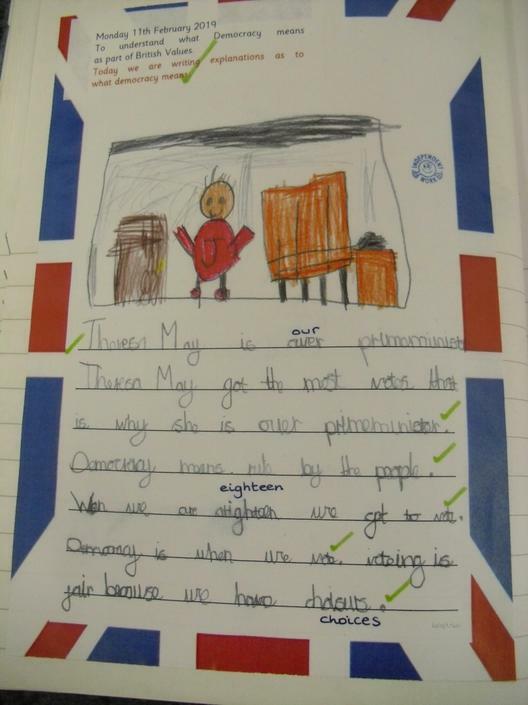 Through a variety of social, moral, spiritual and cultural (SMSC) lessons and assemblies children begin to learn about British Values. 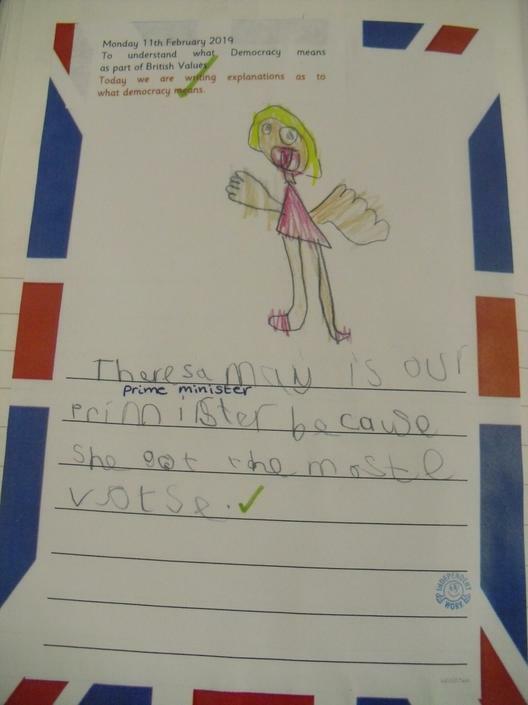 The children at John T. Rice Infant and Nursery School are taught further British Values through the Jigsaw scheme of work. 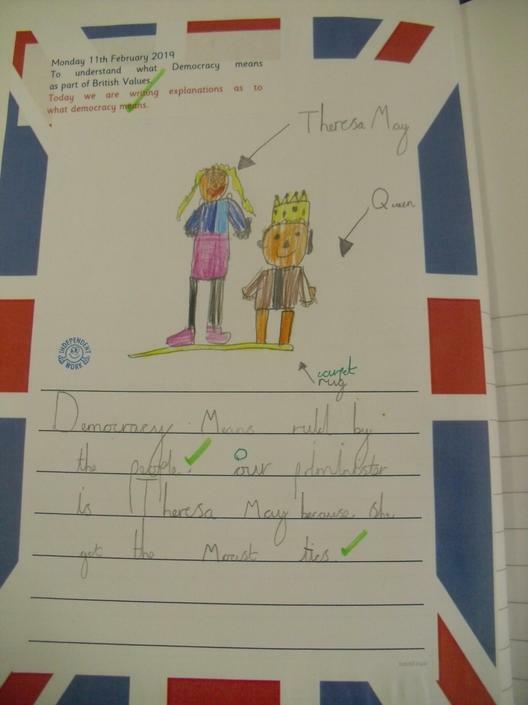 Have a look at what we have been doing this half term around DEMOCRACY. 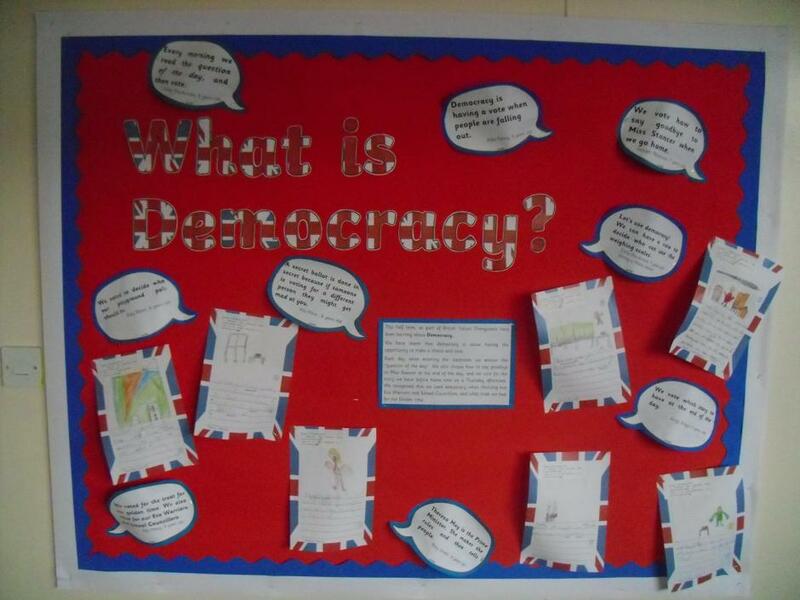 Each class has learnt about democracy and what that means for us in Great Britain. 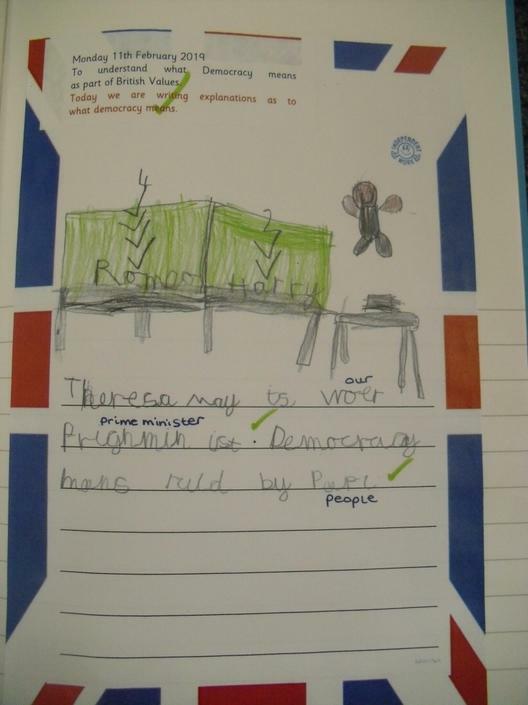 We have enjoyed lots of fun activities which have shown us what democracy looks like in our school. Now whenever a decision needs to be made we try to exercise our democratic vote!